Another company has shown that multilevel marketing works. Rodan & Fields has announced that they have hit the $1 Billion mark in annual sales. This tells me that independent Rodan and Fields representatives are selling the products and also making great money. Let’s take a closer look at this MLM company. In the mid 1980’s at Stanford University College of Medicine, 2 women met while they were in dermatology residency. Katie Rodan and Kathy Fields studied together and brainstormed about their futures. In 1995, these 2 women developed a solution to defeat acne. The name of this solution was called ProActiv and became a hit quickly with people trying to battle the acne problem. Guthy-Renker purchased the ProActiv trademark after it was sold via infomercials with the 2 Doctors explaining their development. After ProActiv, Dr’s Rodan and Fields began to invent other skincare products. 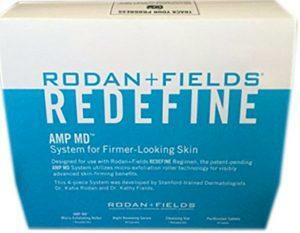 In 2002, Rodan and Fields was launched and the products were sold in department stores around the nation. In 2003, Estee Lauder purchased Rodan and Fields. In 2006, it was decided that multilevel marketing would be the best business format, and that is what occurred. In 2007, Katie and Kathy… Rodan and Fields reacquired their brand back from Estee Lauder. The company has been selling various skincare products using the multilevel marketing business format since that time. If you can think of any type of skin care item, Rodan and Fields probably carries a product that solves that need. Rodan and Fields through a wrench in the world of skincare when the company was given the title of #1 skincare brand in the United States in 2016. This cam with the announcement by the company that they had reached $1 Billion in revenues. This could not have happened without highly competent leadership. While many other companies are using other marketing methods, the #1 skincare company has chosen MLM as their means to market. This not only brings the company profits, home based entrepreneurs are able to make great money too. With a goal of helping people with skin issues, these 2 women have founded a dynasty. Amnon was the source idea of taking the company away from traditional to MLM. He has a B.S. in economics from Loyola Marymount University and an MBA from Harvard Business School. Diane has over 25 years of experience managing high volume retail systems. She is on the Board of Directors for Whirlpool Corporation and Zoosk. Diane has a B.S. in marketing and economics from Northern Illinois University. Chris has over 25 years of experience in financial operations with many major companies all starting with JP Morgan. Chris has an economics degree from Brown University. Heidi controls global operations which she is quite competent at since she has over 25 years leading within the consumer products industry. Heidi has a B.S. in communications from the University of Portland. Ralph has been awarded some prestigious technology awards. He has worked with Cisco, Hewlett-Packard and AT&T Bell Labs. Ralph has a B.S. in mathematics and computer science from St. Joseph’s College and an M.S. from Northwestern University in computer science. Lynn has helped to market some previous well-known brands with L’Oreal and Avon. Now she is key in marketing and product development at Rodan and Fields. She has a B.S. in marketing and international business from New York University. With an M.B.A. in international business from Johnson & Wales University, Oran understands how to move the brand’s global footprint. These are just a few of the Rodan and Fields leaders. Each independent business owner is a leader in their own right and that is why Rodan and Fields has generated $1 billion in sales. When you look at how Katie and Kathy got started, it just gives us goosebumps. They had very little money and tested their Proactiv solution on friends and family. When they finally came up with the mix, they approached Neutrogena who turned them down but gave the infomercial idea. That is when they approached Guthy-Renker who took over ProActiv and gave the women 15% royalties. It was the beginning of a $1 billion dream. Dr’s Katie and Kathy still see patients twice per week in their dermatology clinic. This shows that these 2 women are committed to changing the world one pimple or skin issue at a time. It makes me delightfully happy to see that Rodan and Fields has hit that huge mark of success. I bet they will not stop there. Watch for more great things to come from Rodan and Fields. I have never used any of the products but I know people who have. They are wonderful in all opinions I have heard. What about you? Have you used the Rodan & Fields product line? You can leave all comments below. Thank you for visiting today and if you may be considering joining Rodan & Fields, you can find their website link in the reference section below. Disclaimer: I am not affiliated with Rodan & Fields in any way. This information is provided for your education only.